Fitness is an important part of any healthy lifestyle, and getting enough exercise is a great way to stay healthy and lose weight. 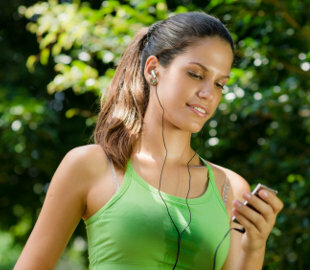 The fitness tools on Diet.com can help you take the guess-work out of building your exercise and workout routines. Watch fitness videos demonstrated by personal trainers, read fitness blogs written by fitness professionals, check out exercise demos, design your own workouts with our online Workout Builder, or track your exercises with our fitness trackers. Weight loss is part diet and part fitness. So take control of your exercise routines today with Diet.com's fitness tools! Use Diet.com�s Workout Builder to put together your own workout routines! Just select a target area (abs, lower body), drag exercises into your playlist, and follow along with our experts. The Workout Builder also has lots of playlists put together by our fitness experts, so if you�re not sure where to start... start here! DIET AND WORKOUT PLAN FOR PROCRASTINATORS!